Box of Stolen Socks: "The Night Circus"
Everybody is going bonkers about Halloween! Both in the real world and in the cyber universe! I am going to be bold here and say something that might make me invidious, obnoxious, and maybe, offensive...I don't care about Halloween. I don't understand the fixation with scary pumpkins, ghosts, bloody eyes and other such gruesome scenes. Everywhere I look I see those bluntly exploiting, consumerist campaigns to make us do more, eat more, and ultimately spend more on things that are actually irrelevant to the real tradition of this day. We don't celebrate it in Greece and even here in Croatia (a very catholic country) people pay more attention to the day after Halloween. November 1st is a day of remembering those who left from this world to start their eternal journey. The days preceding Svi Sveti (All Saint's Day) are borderline frantic. Zagreb is full of people and flowers and small red lanterns which will be lit on Dan Svi Svetih and create a river of red light. OK all these take place in cemeteries and the light of the lanterns might remind you of blood but this is as gruesome as it gets! The Night Circus has nothing to do with Halloween and I did not chose to write about it today because of this. I want to write about it because it is extraordinary and enchanting, mysterious yet unaffected in its writing style. 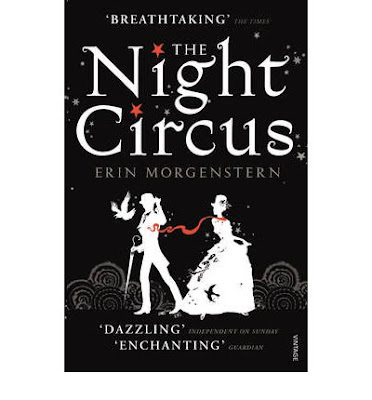 Many months ago, way before I started this here blog, I read a post written by a food writer describing a dessert she had created inspired by a book titled "The Night Circus". I had just bought my Kindle and I immediately went online and bought the book. That's how I am, very impulsive about the books I buy and read. I downloaded it and left it there on my virtual bookshelf for a long time. Since then many things concerning this book have happened. Hundreds, maybe thousands of reviews have been written. Some positive and glowing dubbing it the best book of that year, others not so much, pointing to weaknesses and problems. I drunk this book like a soothing, remedial potion. 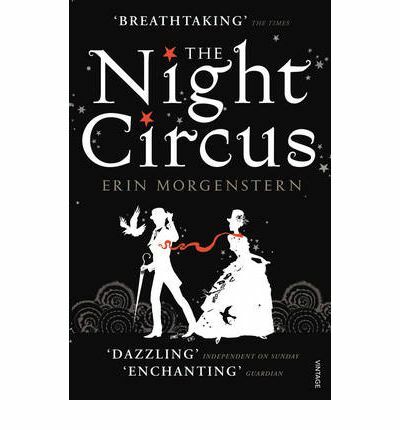 I read somewhere that "The Night Circus" can cure cancer. It was meant as a joke and you might laugh, but at some point while reading it, the same thought crossed my mind. If it cannot cure cancer, it can definitely help alleviate stress and anxiety. Why is that though? I cannot say for sure. Is it the fantastical world of magic? Is it the circus itself that brings childhood memories of astounding miracles happening in a place like nowhere else? I cannot put my finger on it but I think it might be because it is a book that does not demand anything from the reader, only to open his mind and imagine being in that mystical place, "Le Cirque de Reves". And it is really easy to do so because the author offers him exquisite, detailed blueprints of anything he might need to get there. This Halloween don't get disarranged by all those asking you to become absorbed by their marketing strategies for bigger, more orange, even scarier, bloodier and darker delirium. Stay true to the actual tradition of All Hollow's Eve and if you can spare a moment read "The Night Circus". It will take you where you want to go like the simplest fairytale did when we were children. You always knew how to touch human souls Maria! Beautiful books, beautiful paintings, everything you do is poetic!